For some funders, marijuana is not just about sewing their wild oats. Rather, they see the business potential of being early to what’s expected to be a highly profitable and long-lasting party. Indeed, for the right type of funder, doling out money to marijuana-related businesses is a promising market—certainly in the short term because these companies are so capital-starved. Because marijuana is still classified by the feds as an illegal drug, many related businesses can’t even get a bank account much less access to bank loans or more traditional funding. 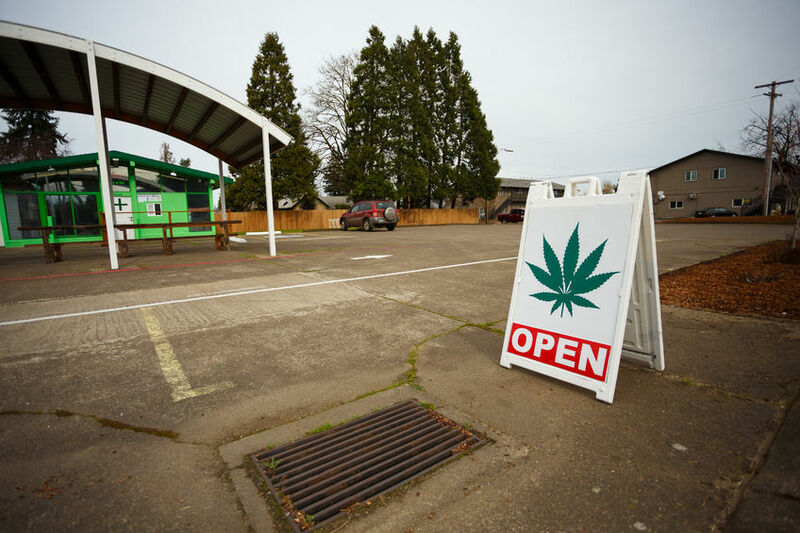 Many alternative funders are also unwilling to lend to marijuana-related businesses, which has left a significant void that’s beginning to be filled by opportunistic private equity investors, venture capitalists and others. Meanwhile, rapidly shifting public opinion and state-centered initiatives bode well for what many estimate is a multi-billion dollar market. Indeed, industry watchers say marijuana funding will eventually be an even stronger niche than lending to alcohol producers, tobacco companies or pharmaceuticals because of all the ancillary business opportunities related to medical marijuana use. “I think it’s probably the biggest opportunity we’ve seen since the Internet,” says Steve Gormley, managing partner and chief executive at Seventh Point LLC, a Norwalk, Connecticut-based private equity firm that invests in the cannabis industry. “Consumption continues to grow and demand is there,” he notes. Despite shifting public opinion, legalized marijuana use is still quite controversial. So, all things considered, it takes a particularly thick-skinned funding company—one that has no moral objectives to marijuana and is also willing to accept a significant amount of legal, business and reputational risk—to throw its hat in the ring. One of the biggest challenges keeping banks and many mainstream funders at bay is that cannabis remains illegal under law. Despite numerous attempts by proponents to scrap marijuana’s outlaw status, the DEA recently dealt out a significant blow by opting to maintain the status quo. 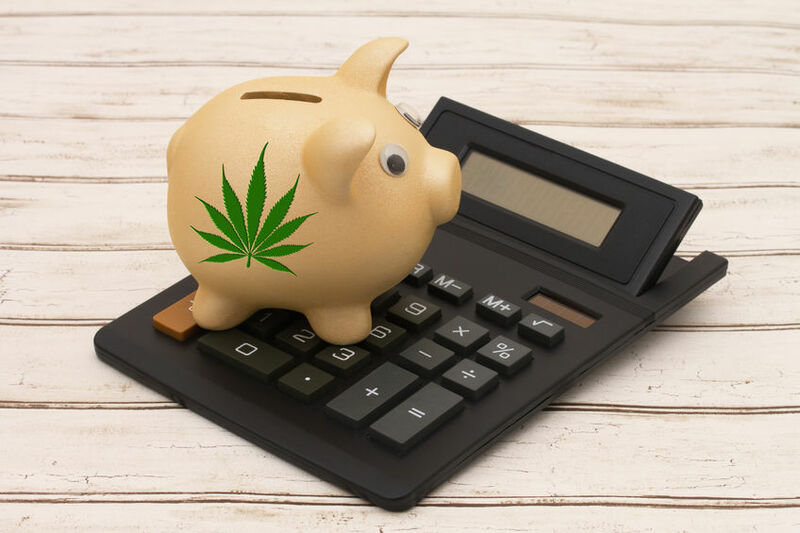 This means that for the foreseeable future marijuana remains a Schedule I drug, on par with LSD and heroin, and as a result many lenders will choose to remain on the sidelines for now. It remains promising, however, that over the past several years, the federal government has taken a more laissez-faire approach, giving individual states the authority to decide how they will deal with legalizing marijuana use. Forty-two states, the District of Columbia, and the U.S. territories of Puerto Rico and Guam have adopted laws recognizing marijuana’s medical value, according to the Marijuana Policy Project, an advocacy group. Four states—Alaska, Washington, Oregon, and Colorado—as well as the District of Columbia have gone even further. They allow the recreational use of marijuana for adults, with certain restrictions. Meanwhile, marijuana initiatives are on the November ballot in numerous states. As these changes have percolated, forward-thinking alternative funders have been dipping their toes in the market—getting an early start on a market that’s hungrily looking for growth capital. “The last couple years there have been fewer investors than capital needed, but we believe that tide is changing,” says Morgan Paxhia, managing director and chief investor of Poseidon Asset Management LLC in San Francisco, an investment management company founded in 2013 to invest exclusively in the cannabis industry. 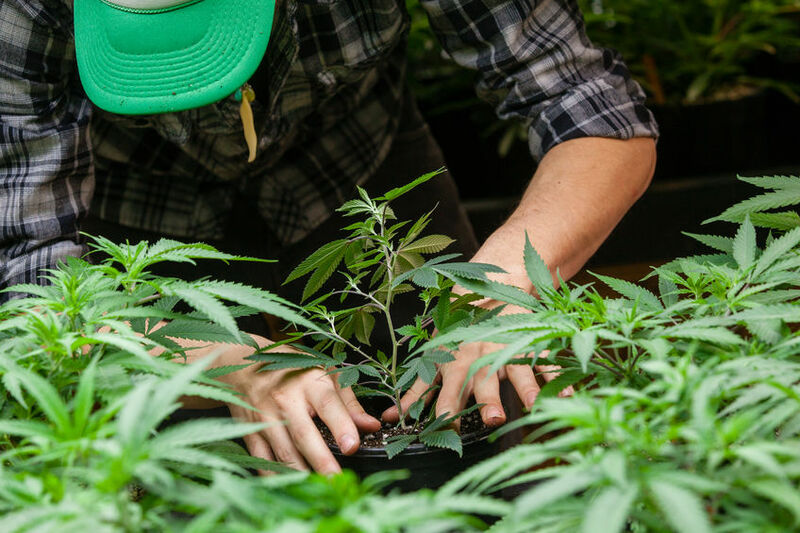 Paxhia says he’s starting to see more venture capitalists, lease-finance companies and private equity investors willing to provide liquidity to marijuana-based companies that are seeking to grow. The short-term cash advance marketplace, however, is not there yet. The challenge is finding funders willing to do the business with them. There are a number of private investors and venture capitalists who have spent the last several years researching and ramping up to invest in what they see as a goldmine of business opportunities. Many of these companies aren’t shy about publicly expressing their support for change. “We see this as an opportunity of a lifetime to witness a societal change and we want to be a part of it,” says Paxhia who together with his sister runs a $10 million investment fund. At the same time, there are also some alternative funders who dabble in this space and won’t discuss it publicly—partly because of the perceived stigma and partly out of concern that their financial backers won’t approve. To cover themselves, some are only willing to deal with companies that have hard assets. Often times the rates they offer are much higher than businesses in other industries with comparable financials would pay. Andrew Vanam, founder of Rx Capital Funding LLC, an ISO in Norwalk, Connecticut, who focuses on the healthcare and medical industry, has helped a handful of few marijuana-related businesses get funding in the past few years and would love to help facilitate more deals. But he says it’s extremely difficult to find lenders that are willing to fund cannabis-related businesses as well as offer reasonable rates. Many of the files he generates in the cannabis space have incredible financials, positive cash flow, and month-on-month growth. However, lenders still treat these businesses as high-risk and offer rates so high it’s not even worth bringing back to a client. Instead, “they are taking hard money loans from private investors that put these cash advance offers to shame,” he says. Certainly there are risks to funding marijuana businesses. In Colorado—one of the first states to legalize the recreational use of marijuana—values are getting lofty, and people are overpaying for properties that house marijuana-related businesses, notes Glen Weinberg, a partner in Fairview Commercial Lending, a hard-money lender with offices in Atlanta and Evergreen, Colorado. Weinberg has financed between 75 and 100 commercial real estate loans where marijuana businesses were involved, but says recently he’s shied away. 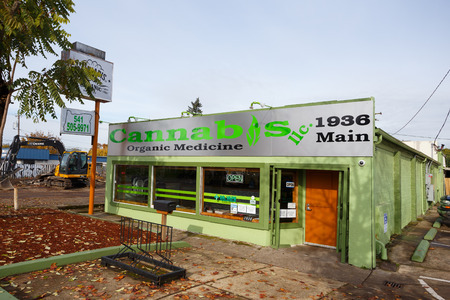 “I’m not comfortable with the valuations at a lot of these marijuana properties,” he says. Even investors who are bullish on the space urge caution. “If you’re in a [nationwide] market that is growing at about 64 percent per year, that rising tide floats all boats, but there’s a lot of risk, so you have to be careful,” says Chet Billingsley, chief executive of Mentor Capital Inc., a public operating company in Ramona, California, which acquires and provides liquidity for medical and social use cannabis companies. Billingsley says he has learned some hard lessons through his dealings with about nine marijuana-related companies. For example, he recently won a court judgment against a company that Mentor had supplied with millions of dollars in cash and stock. The company later balked at the terms of the deal and tried to renege, but Mentor ultimately prevailed in court. Still, Billingsley says Mentor went through many unnecessary hassles and racked up $300k in legal costs over the course of its two-and-a-half-year legal battle. Many business owners in the marijuana space started out during a period when it w as completely illegal. Often these companies march to the beat of their own drum; to protect themselves, lenders need to do more than offer a standard funding contract and hope for the best, Billingsley says. “The contract has to be solid and it has to be explained in detail to the marijuana operator who is often not sophisticated with regard to contracts.” If you leave things open to interpretation, you’re likely to end up in court, where anything can happen, he cautions. Gormley, of Seventh Point, leverages all the same resources he would if he were buying any retail or production manufacturing outfit. He does extremely invasive vetting of the individuals involved and uses private detectives to help. It many cases it comes down to the business’s management team, according to Paxhia of Poseidon Asset Management. “All the businesses are very early-stage and most companies have a very short track record, so you have to place a greater emphasis on the people,” he says. Despite the risks, funders that work in the marijuana space say they are filling an important need by providing capital to marijuana-related businesses. For Gormley of Seventh Point, it’s a calculated risk in an area he’s been following for quite some time. “How often do you get to be part of history, and how often do you get to participate in a burgeoning market?” he says. Industry participants stress the many funding opportunities aside from companies that cultivate and distribute the plant. Indeed, there are many ancillary businesses that provide products and services geared towards patients and cannabis users without having anything to do with the actual plant. Howard of Salveo Capital, says his company is gearing up to provide private equity and venture capital to several marijuana-related businesses through its Salveo Fund I and will only make select investments into companies that “touch the plant.” The goal is to eventually have $25 million of committed capital to invest in multiple early-stage companies that offer ancillary products and services to the marijuana industry. “We think there’s more exciting opportunities than ‘touch the plant’ investments,” he says. Crowdfunding platforms are another avenue for companies in the marijuana space. This type of funding hasn’t yet been utilized to its full potential, industry watchers say. Eaze Solutions, a San Francisco-based provider of technology that optimizes medical marijuana delivery, is one example of a company that turned to crowdfunding. It raised part of a $1.5 million infusion to fund its expansion via the crowdfunding site AngelList in 2014. Loto Labs, in Redwood City, California, is another example. It raised more than $220k via Indiegogo to fund production of its Evoke vaporizer. There’s also CannaFundr, an online investment marketplace for companies in the cannabis industry to gain access to capital. Seth Yakatan, co-founder of Katan Associates in Hermosa Beach, California, suggests that crowdfunding will become more of an option for certain types of cannabis based companies, specifically those that aren’t as closely tied to the actual production of the plant. “Until federal regulations change, it’s going to be hard to raise money for an entity where you are actively engaged in the cultivation, distribution or sales of a product that’s federally illegal,” says Yakatan, whose company invests in and advises cannabis-related companies that have a biotech or pharmaceutical orientation. Because laws on legalized marijuana are still in limbo, industry watchers say the market is still many years away from being mainstream. “Public perception will be similar to alcohol in 10 years from now,” predicts Weinberg of Fairview Commercial Lending, adding that he expects banks to enter the funding arena in five to 10 years. In the meantime, alternative funders who can stomach risk continue to pave the path for others. Howard of Salveo Capital expects private equity investors, venture capitalists and other alternative players to continue playing a big role in getting the nascent industry off the ground. “I strongly believe that in the interim there’s a significant advantage for players like us to be funding and to be in on the ground floor of this industry before it changes,” Howard says. Indeed, many alternative funders believe the potential upside significantly outweighs possible negative consequences. “The perceived risk at this point is far greater than the actual risk,” says Paxhia of Poseidon Asset Management.